Running in Quito, Ecuador. 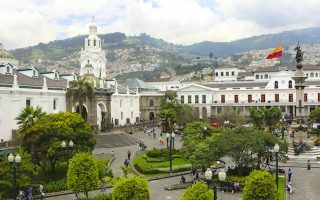 Best routes and places to run in Quito. San Francisco de Quito is the capital and most populous city in Ecuador, located on the slopes of the Pichincha Volcano just south of the equatorial line. International visitors to Quito come to stand on the equator at “la mitad del mundo,” explore the architecture of one of the world’s best preserved historic centers, and to stop over before launching off to the Galapagos Islands and other points in Ecuador. For Ecuatorianos, this historic city is an important center of domestic and international business, with major industries including textiles, metals, and agriculture. Running in Quito can be complicated due to elevation (2,850 meters above sea level), traffic, and smog. However, there are some lovely spots strewn throughout the city. For sheer beauty, the best place to run in Quito is the trail at the top of the Pichincha Volcano, reached by the Teleférico. It’s trail running, but not too challenging. In the city, some of best places to include Metropolitano, Carolina, and Bicentenario parks, which have great running tracks and enough trees to help runners breathe easier. We’ve also put together a ‘runseeing’ tour of Quito’s Centro Histórico. Near there is a tour of three parks, as well as an ascent to the summit of El Panecillo. A great long distance run just outside the city is the Chaquiñán Trail, starting from Cumbayá. The well-connected bus system is the most economical way to get around Quito and can be a fun adventure for travelers who don’t mind decoding somewhat complicated routes and braving packed crowds. It’s also easy and fairly cheap to call or hail a taxi, which most tourists find to be the friendliest option. 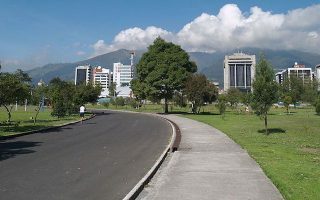 While walking/running the city sidewalks is doable, most runners will want to stick to our selection of routes as a nice respite from the hectic traffic of Quito. Notes: it’s a good idea to bring a friend and keep valuables stored in a safe, discreet spot. Also, be aware of Quito’s elevation. Think about acclimating, hydrating, and the usual altitude precautions. 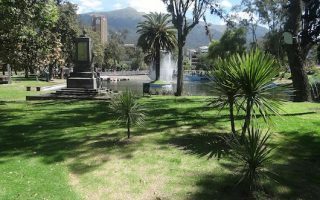 This large park in the heart of Quito features an 8 km (5 mile) stone and gravel road looping through trees, with great views of Pichincha Volcano. Run it on its own or combine with Parque La Carolina. A popular workout spot adjacent to Parque Metropolitano, this small park has a measured track as well as several paved running/cycling paths. Explore the intriguing architecture of Quito’s well-preserved old town with this historic running tour including Plaza Grande, La Basílica, Plaza San Francisco, Calle La Ronda and other top sights. 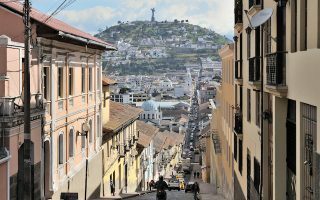 A tough hill climb for the elevation-acclimated runner, this route up to the sentinel madonna atop El Panecillo rewards with panoramic views of the city of Quito. It's 4.8 km out and back, or combine with our Old Quito Tour. A nice opportunity for some green, near Quito's Centro Histórico. The 4.5 km loop traverses the pleasant paths of lameda Park, the tree-filled El Ejido Park, and the more modern Parque del Arbolito and Cultural Center. 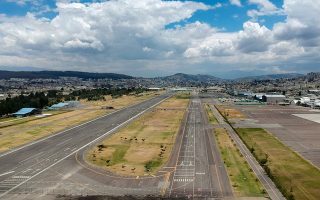 Formerly the grounds of the Quito airport, this park has transformed old runways into beautiful long running tracks with sculptures, native trees, and playing fields. Good, flat running of up to 10 km, good place to practice fartleks! A little bit outside the city center, the 20 km hard packed dirt Chaquiñán Trail is a fantastic choice for a longer run, featuring parks, city streets, and a quiet natural area around El Chiche River. 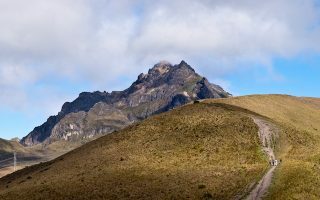 Three great paths around the slopes of Pichincha volcano. 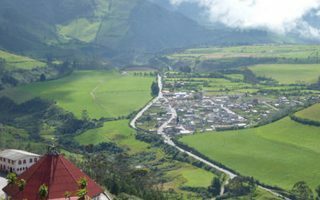 Take the Teleférico up to the ridgeline, run the lovely El Cinto Cruz route through farmland, or take on the tough switchbacks of the Antenas del Pichincha. A great off-road running opportunity just outside the city. 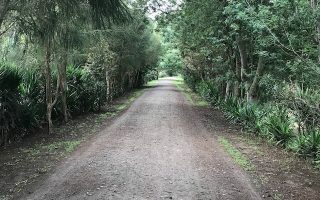 This open air cycling path travels through flat pastureland along an unnamed road beginning from Parque Metropolitano Chilibulo in Lloa. 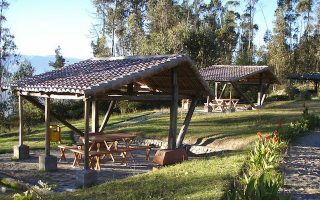 For visitors to the south end of Quito, the 750 hectare Parque Metropolitano del Sur is a sprawling and beautiful option for a run of any length. The main dirt and stone-paved path is a 12 km out and back. 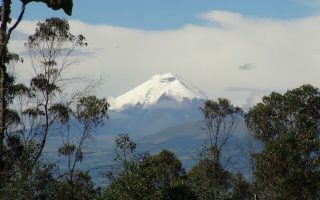 Quito’s climate is influenced by its altitude location. The city is cooler than other parts of Ecuador. Temperatures are nearly uniform year-round — average high temperatures are typically in the 18-20C (64-68F) range, and lows are 9C (48F). So always bring a layer for those cooler nights. There are distinct wet and dry seasons. Rainfall is plentiful from October to May, with June to September being drier. 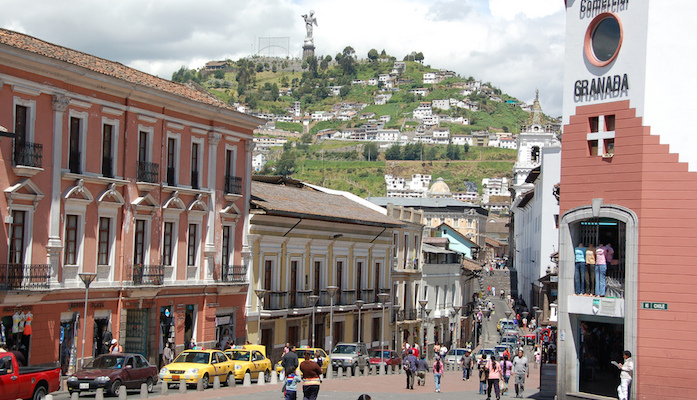 The most popular areas to stay in Quito are Old Town and La Zona, which is known for its raucous nightlife. Both high end hotels and cheap hostels can be found almost anywhere along the length of the city. See ecuador.travel.ec for more tourism information. Quito has many of the chain athletic stores (like Nike, Adidas, Puma, and The North Face) as well as some smaller-scale sports shops. HR Cycling and Running and Marathon Sports are a couple of the most popular. For groups, check out Trail Runners Ecuador or take a tour with Run Ecuador. Ahotu Marathons has the most comprehensive list of upcoming races in Ecuador. Ruta de las Iglesias. A night run held every August in Quito Old Town, attracting 4,500+ runners. Quito Half Marathon. Generally in June.